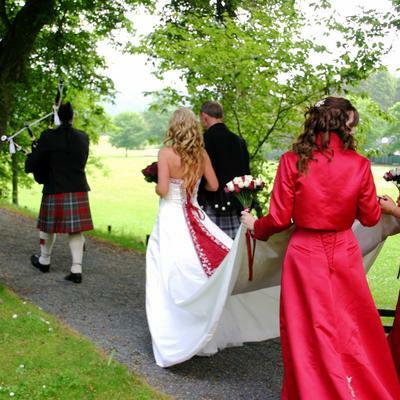 Every time I heard the word "Scot," then came the sound of Scottish pipes, an image of deep red-green colored checker pattern cloth, and a scenery of a mountain with a grey stone Celtics style castle. 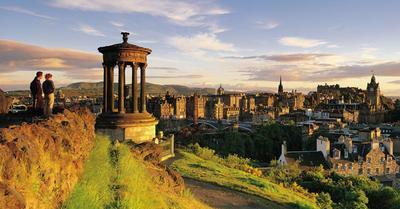 Scotland is one of the most want-to-visit countries for me. A land full of beautiful nature, Celtics art, and fairy tales! I have forgotten my time in front of my laptop browsing for more photos. 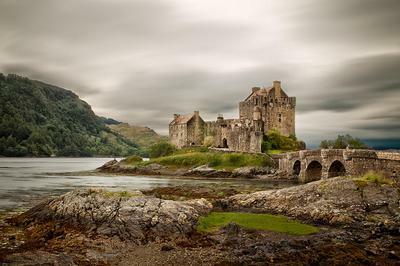 One of the pictures above is the Eilean Donan Castle, one of the most attractive places to visit in Scotland. It stands on an island at a point which is just perfect. Surrounded by water, the old stone castle looks so mysteriously charming. Fortunately, nowadays tourists are allowed to explore nearly all its parts, so I wonder it would be great, if I could have a chance to spend my whole day wandering around there. 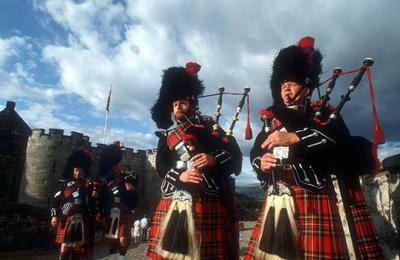 I also like Scottish lively music style. It has such a rich rhythm, so every time I listen I could create various pictures of scenery in my mind. I wish someday I could play music like that.